We are starting the second week of BM#60, this week I will be sharing some finger foods that can be a delight to any Kids party. This theme is for my Kids Delight Event, guest hosted by Priya Srinivasan and she is calling for all finger foods. I have been wanting to make Tater Tots for a while now. This is inspired by many blogs I read on this recipe. Most were prepared with egg in it and I decided to do it my way. 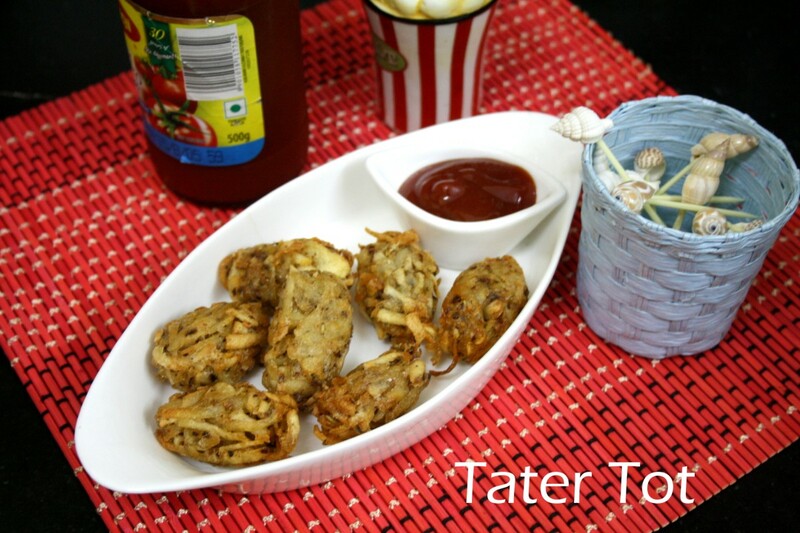 These may not be the original way a Tater tot might be. However these were delicious and just the sort one would want for a party. So I am anyway going to call it Tater Tots and will get to the original way sometime later. Peel the skin and parboil the potatoes in enough water. Once cooled, grate the potatoes into a bowl. 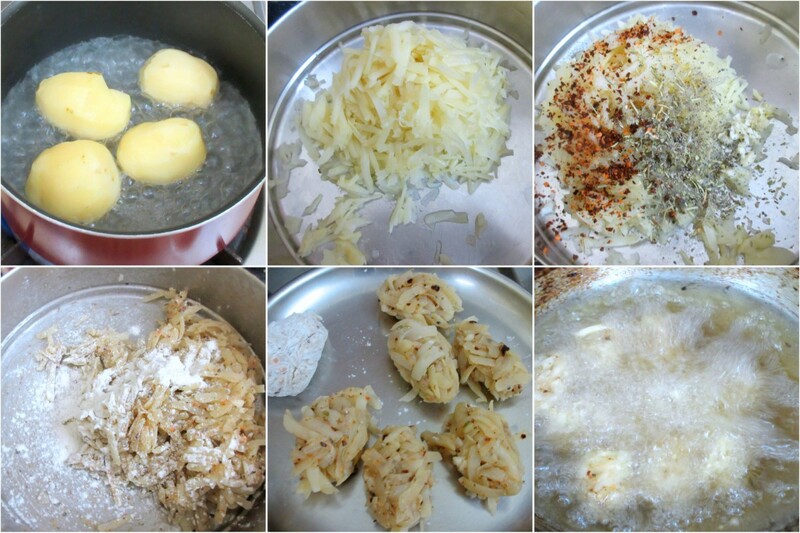 Make sure the grated potatoes are dry. Then add salt, pepper, herbs, and mix well. 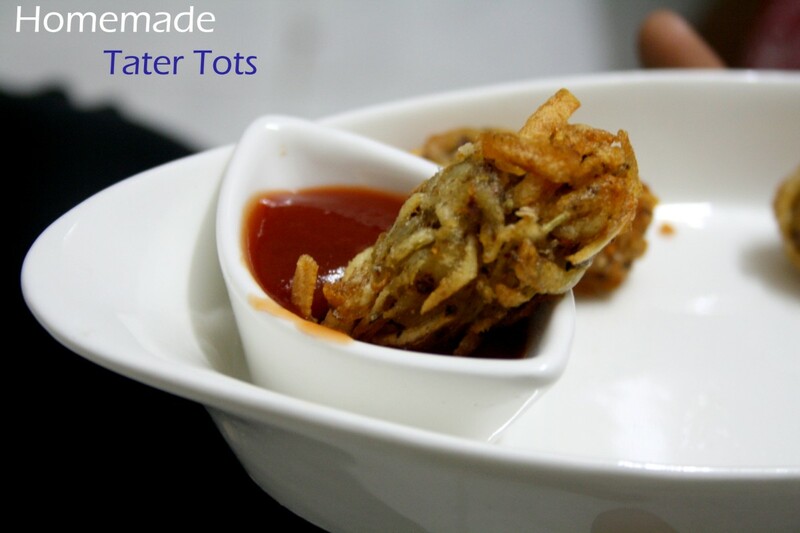 Pinch out tiny Tots and place them in a plate. Freeze for alteast 30 mins or until making. Heat a pan with oil, deep fry the tater tots till golden in colour. Drain them on a kitchen towel, seve with ketchup. I feel potatoes in any form ends up being delicious. I bet your version tater tots were yummy. My kiddos favorite. I havent tried this for a long time. Should try it some time soon. LOve potatoes in any form they are served. Kids would love these for sure. Wish i get this crispy beauties rite from my lappy screen, so tempting they are. 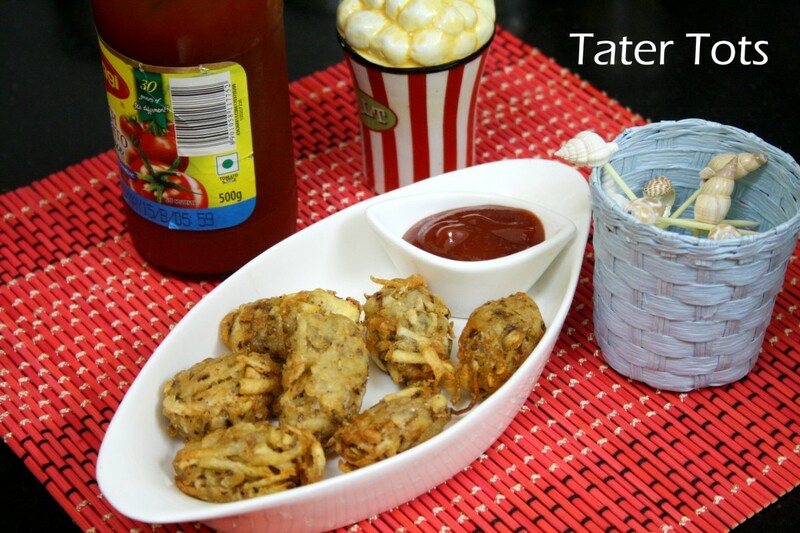 I love tater tots and so does my family, but I never made them at home. Your recipe looks easy enough to try. such an easy version valli,i feel like making it right now!! looks interesting!! What a fun recipe this is Valli! WOuld love to make some for my boys.